We are a coalition of egg farmers and other supporters who feel federal legislation mandating how eggs are produced will have negative consequences for family farms, consumers, and the welfare of chickens. They have retained a consultant, Ken Klippen, Klippen & Associates, who has two degrees in Poultry Science and a long history of working for the egg industry. The former agreement between United Egg Producers and the Humane Society of the U.S. would have wiped out conventionally-produced eggs, the most popular eggs available today in the U.S.
1) We represent egg farmers coast-to-coast producing approximately 10 billion eggs annually. 2) We want the consumer to be able to choose which eggs they want to purchase. 90% of all eggs purchased in the U.S. come from conventional caged systems providing safe, wholesome and affordable eggs. 3) We want egg farmers to make informed decisions about animal husbandry based on science. 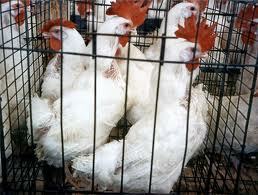 4) Well cared for chickens produce the best eggs. There are advantages to all the various housing systems and there is no conclusive data indicating that one housing system is better than another. 5) We know that eggs come from several different production systems, i.e., caged, cage-free, free-range, and organic and that forcing a one-size fits all approach toward egg production through legislation will deny consumers their freedom of choice. 6) Legislating new requirements on egg farmers will force smaller, family farms out of business. 7) Other countries that adopted similar legislative requirements on egg farmers experienced egg shortages resulting in egg imports from other countries along with significant increases in the cost of eggs to the consumers.